This stylish beach house has been rated 5 out of 5 by previous guests and it is only a two minutes walk along a bush pathway to the pristine shores of the Jervis Bay beaches. Sandy Cove also has an indoor swimming pool for the exclusive use of a small group of households. Sandy Cove provides two bedrooms with queen size beds and built-ins and a third bedroom with two single beds. Stylish bathrooms include a new ensuite off the main bedroom, and new main bathroom along with a third toilet downstairs. Tastefully decorated, Sandy Cove has all conveniences - DVD, microwave, 81cm LCD TV, CD player, plush carpet, Fisher and Pykel dishwasher and oven. Dining and loungeroom have sliding doors which open to large outdoor deck area - making it the perfect summer house. You can relax on the large outdoor deck, surrounded by scribbly gum trees and a bush outlook listening to native birds with a glass of complementary champagne. Swimming is a must with beach and swimming pool 2 minutes from the house. Beautiful bushwalking is a short distance away on the Beecroft Peninsula. The stunning Honey Moon bay is a 10 minute drive away. The quaint township of Berry which has marvellous shopping is 20 minutes drive away. Dolphin watching cruises are available nearby. Or just relax with a glass of wine at Sandy Cove. Sandy Cove is completely pet friendly. This is a wonderful area for dogs with loads of bushland; the house is at the end of a cul de sac with no risk of cars coming past, and a beautiful dog-friendly beach a few minutes walk from the house. Your canine companion will also be completely welcome inside the house. A lovely, well kept house. It is close to the beach which was perfect for our dogs. I stayed at Sandy Cove Beach house in Callala Beach with my Husband, 11 year old Son and 14 year old Jack Russell x Chihuahua. We travel a lot and were thrilled to be attending a beach wedding in an area unknown to us. We usually use a pet sitter when away, but after finding this listing we decided to bring her with us, an excellent decision. On arrival we noted the atmosphere, having stayed in suburban Albury the previous night, entering the driveway of a home nestled amongst nature in a cul-de-sac where the only sound was singing cicadas and distant waves was heavenly. The property owner, Brian being the excellent communicator that he is had provided detailed information before our stay that made access a breeze and despite our arriving after dark on check-in day, we were unpacked and settled in no time. The sensor lights made finding the key lockbox simple and immediate entry had us spilling into a gorgeously decorated, newly renovated downstairs living space complete with comfortable seating, entertainment options a large dining room and ample kitchen. We quickly unleashed our Dog in the rear yard after confirming that she would be safe and secure whilst we unpacked. Our Son claimed his bedroom upstairs, a bright, child friendly room with two single beds, a chest of drawers for clothing, and handy side tables on which fun and flexible neck lamps sat. He was showered in the main bathroom, settled and asleep in no time. My partner and I slept in the front room as it had a well appointed ensuite bathroom, large double inbuilt wardrobe, tall chest of drawers, oh so cosy bed and view into the treetops. Our Dog slept on her own bed in the downstairs laundry, the perfect space for her. The next morning we explored the house further and had a lovely home cooked Breakfast on the back decking where we excitedly watched the birds, tiny Wrens and Finches and vivid Rosellas, all actively playing in the trees. It was unbelievably beautiful, both the house and the surrounds. We all agree that the house was spacious, clean, fresh, beautiful and comfortable. Everything was at our fingertips with the house being well appointed, we wanted for nothing. The pool was a 2 minute walk and excellent. The beach with its white sand, crystal waters and dolphins was minutes away, a short drive or lovely stroll with a pet. The bush surrounds were blissful and abundant with wildlife. We absolutely recommend this patch of paradise to anyone. Lovely house with a short walking distance to the beach. It has everything that you need for a weekend away!! We definitely enjoyed our stay and surely will return soon:) ps. Thanks for the complimentary champagne on arrival! Great spot, right by a beautiful beach. The pool was a great contrast too. Nice, clean, comfortable and loved the birds in the backyard. Late checkout option was fantastic. Could use Wi-Fi access. Would stay again! Ideal property with easy access to the Beach. Ideal for families or a group of friends. We felt relaxed as soon as we arrived. After exploring the house and discovering its amenities we strolled along the path to the Beach to enjoy a long walk on the pure white sand and admired the amazing natural beauty of the area. We enjoyed the chilled bottle of bubbles left by our host for us to enjoy which was much appreciated before dinner and were lulled to sleep by the sound of gentle waves. 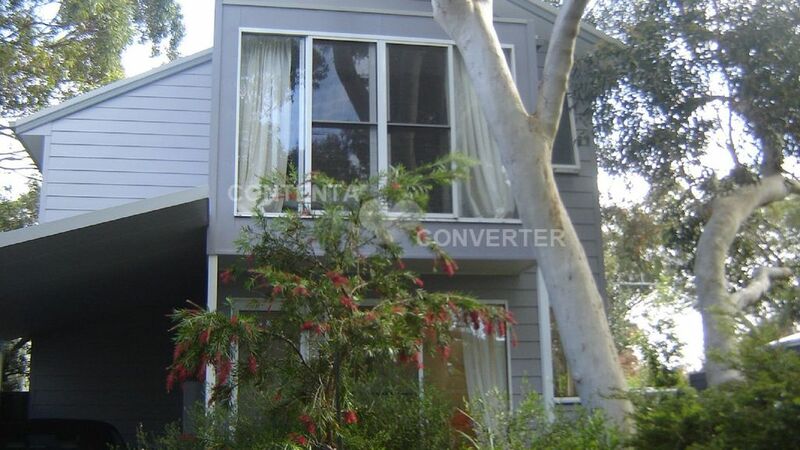 This house was perfect for our needs and was clean with plenty of room and a lovely native garden. We really enjoyed our stay and will look forward to staying at a future date. We will definitely recommend it to our friends. This was our second stay at Brian's gorgeous house, and we loved it just as much the second time around! The house was clean, comfortable and had everything we needed to feel right at home (including a sneaky bottle of wine in the fridge!). It's the perfect place for anyone with a dog - pets are welcome in the house but the property also has a great little fenced yard, it's just few minutes' walk to a dog-friendly beach, plus there are some great walking trails nearby too (we'd highly recommend the Abrahams Bosom Reserve trails). Thanks for another perfect stay, Brian!